At Starwood Montessori, we strongly encourage you to complete an observation of your child in their environment prior to parent conferences, held twice a year. This will give you a clearer understanding of not only what your child is learning, but also how your child interacts with his or her environment. Your child’s day in school flows from one activity to the next designed to enhance both cognitive and social skills. Many parents focus mostly on the interaction of their children with peers. However, it is also important that you observe your child during focused classroom work. Please check your child’s daily schedule for Montessori work times to have the optimum experience. To help guide classroom observation, we will provide you with a handout that you will find useful as you prepare for discussion at the parent conferences. 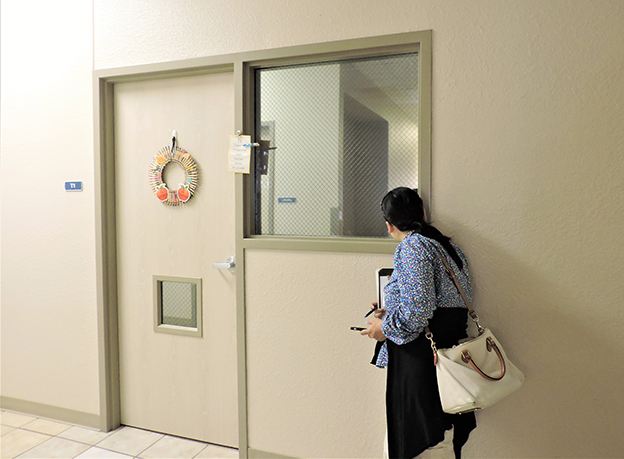 To help make the observation process more authentic, a double-sided window is available that affords parents a view of the classroom without being visible to their children. You may be surprised by what this fly-on-the-wall perspective can teach you about your child. Careful observation will provide you clues into your child’s learning style that will help you channel their experience at home. Your observations may also lead to questions that you can discuss with the guides at the conferences. Please be aware that your child may not be working close to the observation window at the time you arrive and may be on the far side of the classroom. The purpose of the observation is not to focus on the exact task of your child at the time, but to observe the dynamics of the room and your child within the classroom community. Your child’s education is a collaborative task between the guides at school, the parents at home, and the dynamic classroom environment. The more you learn about this process, the better you will be able to collaborate with our guides to help enhance your child’s learning curve at school and model a complementary environment at home. Your observations will provide you the needed insight to make your parent conferences productive, and help you strategize with the guides on the best approach to help your child make the best of his or her Montessori learning experience. Starwood Montessori is a community that encourages the active participation of parents in their child’s learning experience. We encourage current or prospective parents in Frisco to call (972) 712-8080 or speak with their child’s guide to learn more about effective classroom observation. My daughter says that she doesn’t really like her class and I would love to be able to see why. I didn’t know that some schools allowed a parent to come observe the class. That would be wonderful to be able to talk to the teacher about what I see afterwards as well. What a great idea. I will have to look into it.